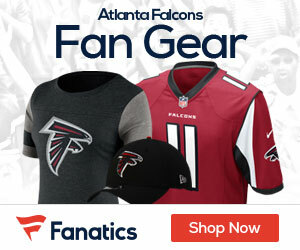 Count the Falcons as a team that could be on the verge of landing a deal with the Eagles for cornerback Asante Samuel. Jay Glazer of FOXSports.com reports that the Falcons have interest in the 31-year-old, who may only garner at this point a 5th or 6th round conditional draft pick. Right now Samuel has two seasons and a whopping $21.5 million remaining on his current contract, including a $9.9 million base salary, $100,000 workout bonus and $11 million cap number for the 2012 season. Samuel is due to earn $11.4 million in base salary in 2013 with another $100,000 workout bonus, but is reportedly willing to restructure his contract to facilitate a trade. Another team that has been talked about when it comes to Samuel is Tennessee, but nothing has been said about them and Samuel for the past week or so. Denver is another team that could be in the mix for the CB. Samuel has ties to the Falcons’ front office. General Manager Thomas Dimitroff was the New England Patriots’ Director of College Scouting when Samuel was selected in the fourth round of the 2003 NFL Draft. Falcons Assistant Director of Player Personnel Lional Vital was the Assistant Director of College Scouting for the Patriots at that time, as well.